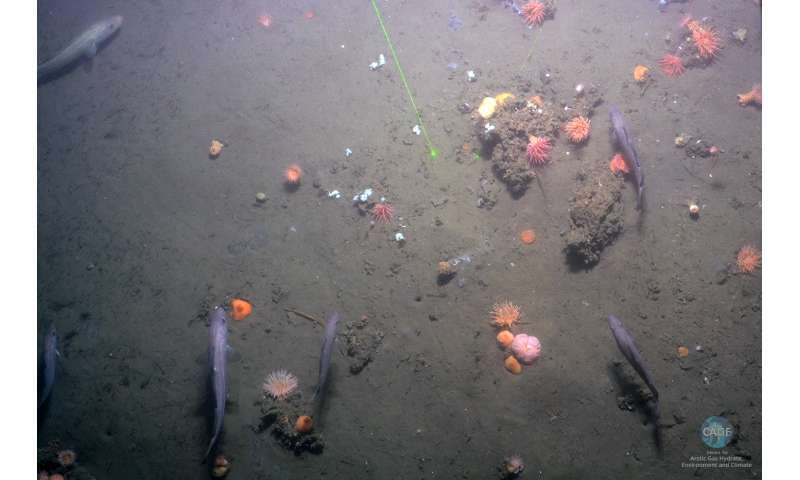 Studies conducted at CAGE have previously shown that ice sheets and methane hydrates are closely connected, and that release of methane from the seafloor has followed the retreat of the Barents Sea ice sheet some 20 000 years ago. But is all such release of the potent climate gas bound to be catastrophic? "The release was too slow to significantly impact the concentration of methane in the atmosphere." says researcher and project leader Aivo Lepland at Norwegian geological Survey (NGU) and CAGE.This may help explain why we have yet to discover a signal for such events in the various climate records of the past. "We have used carbonate crusts that form just below the sea-floor. They are a direct result of the oxidation of methane moving upwards though the sediment layers from deeper reservoirs. The chemical composition of the crust tells us that the source fluid was methane-rich, and the uranium-thorium dating tells us when this methane release happened." explains lead author of the study Antoine Cremiere, post.doc at NGU/CAGE.